SOAP comes from the bowels of XML-RPC, which was done way back in 1998. SOAP once stood for Simple Object Access Protocol but this was dropped with v1.3 of the standard, being blessed on June 24, 2003. 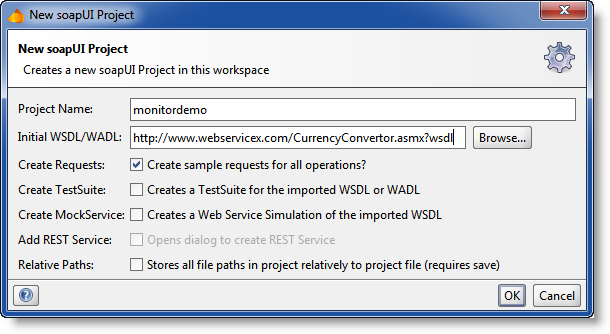 SOAP was born of Microsoft, based on WSDL and UDDI. WSDL and UDDI have faded, but SOAP has much of its DNA in these specs. SOAP is currently owned by the W3C. Aligns with EA requirements in that it supports various transports, e.g. HTTP, SMPT, UDP, JMS, etc. REST was developed in parallel with HTTP/1.1. The largest implementation of a REST system is something called with WWW. REST works on a server-client conceptual basis, again, with clients initiating requests to servers, which process and return responses. This request / response paradigm is built upon the transfer of resource representations. A RESTFUL approach is not limited to HTTP, by the way. But, an example of HTTP yields the REST verbs (read methods from an OOP paradigm), URIs, Internet media types, request and response codes, etc. Here is a maintained list of REST examples. REST can be made very safe, since one can filter on anything that is not a GET verb. Great for web services, exposing data over the internet. Great for low BW and CPU requirements. Great for combining data from multiple sources in a browser. SOAP is considered more secure by many because parameters are encoded in the message, not the URI. SOAP has support for contracts, acquiring tokens, etc. Note that REST doesn’t require params in the URI, but it often happens. Many would argue that this is breaking REST. Great for enterprise applications requiring contracts and reliability measures. I am trying to create a new project in SoapUI, and I keep getting the same error no matter what URL I try to load in there. In order to make sure it wasn't my local hosted web service causing the issue, I tried the URL from this page: http://www.soapui.orgRecording/re ... affic.html which uses http://www.webservicex.net/CurrencyConvertor.asmx?WSDL as the example. Are you on a secured network? If so please configure the proxy settings on SoapUI. The Proxy settings is located here: File>Preferences>Proxy Settings. Click on File again, save preferences and you might even want to restart SoapUI. Establish whether you have a memory problem. Avoid creating temporary objects within frequently called methods. Use custom conversion methods for converting between data types (especially strings and streams) to reduce the number of temporary objects. Canonicalize objects wherever possible. Compare canonicalized objects by identity. Create only the number of objects a class logically needs (if that is a small number of objects). Replace strings and other objects with integer constants. Compare these integers by identity. Use primitive data types instead of objects as instance variables. Avoid creating an object that is only for accessing a method. Flatten objects to reduce the number of nested objects. Preallocate storage for large collections of objects by mapping the instance variables into multiple arrays. Use StringBuffer rather than the string concatenation operator (+). Use methods that alter objects directly without making copies. Create or use specific classes that handle primitive data types rather than wrapping the primitive data types. Consider using a ThreadLocal to provide threaded access to singletons with state. Use the final modifier on instance-variable definitions to create immutable internally accessible objects. Reduce object-creation bottlenecks by targeting the object-creation process. Avoid initializing instance variables more than once. Use the clone( ) method to avoid calling any constructors. Clone arrays if that makes their creation faster. Eliminate object-creation bottlenecks by moving object creation to an alternative time. Create objects early, when there is spare time in the application, and hold those objects until required. Use lazy initialization when there are objects or variables that may never be used, or when you need to distribute the load of creating objects. Use lazy initialization only when there is a defined merit in the design, or when identifying a bottleneck which is alleviated using lazy initialization. Braces are used even when the body is empty or contains a single statement. Column limit can be 80 or 100 characters. The default statement in switch statements are required. Modifiers appear in the order recommended by the Java Language Specification. Constants use CONSTANT_CASE. Note that every constant is a static final field, but not all static final fields are constants.